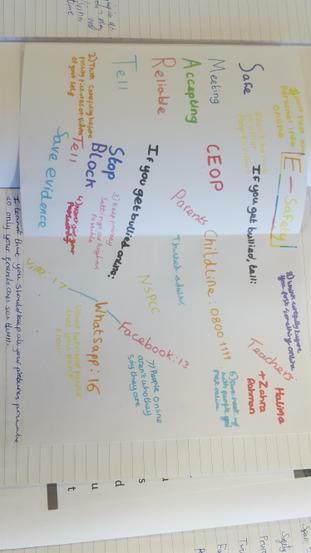 Year have had a fantastic time learning more about E-Safety! We had some very special visitors - The Cyber Champions - who taught us all about internet safety. 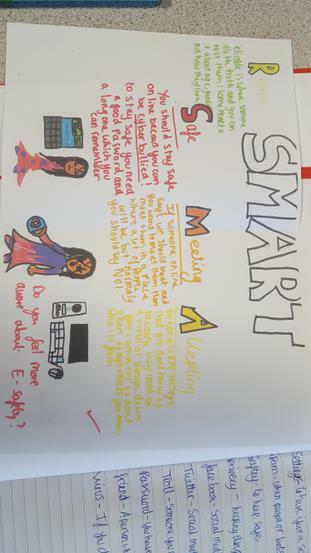 We then made posters showing what we had learnt. 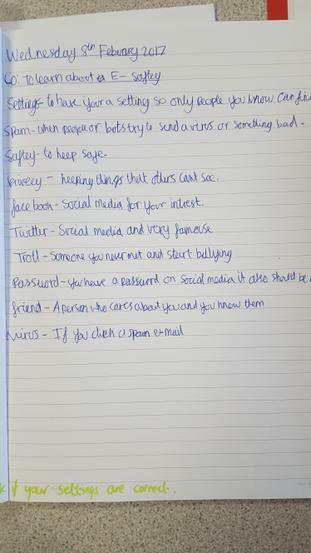 We followed this up by learning the vocabulary linked with E-safety and became more familiar with these terms. 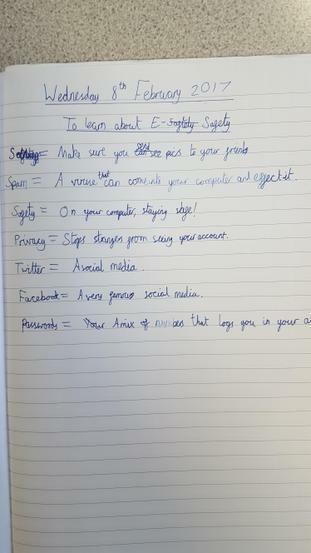 We also linked our PSHE lesson about bullying to cyber-bullying; thinking about how it makes people feel and the reasons why some people might bully. 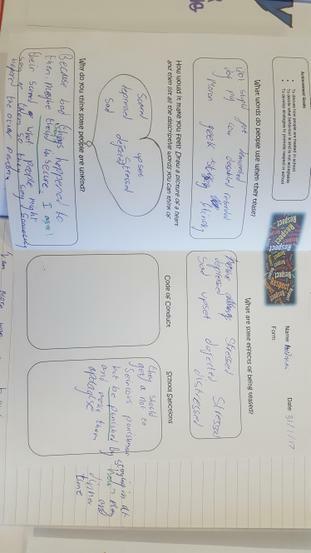 Year 6 wrote newspaper recounts about e-safety incidents! Here's a recount about cyber-bullying and identity safety online.